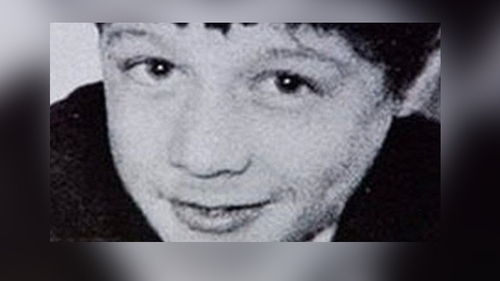 A soldier who shot dead a 15-year-old boy in Derry in July 1972 is to be charged with murder. Daniel Hegarty was shot twice in the head during the largest single operation by the British army in Northern Ireland during the Troubles. The Public Prosecution Service has informed the teenager's family that the soldier, referred to as Soldier B, is to be charged with murder. He will also be charged with wounding with intent for the shooting of Daniel's 17-year-old cousin. Christopher Hegarty was also shot in the head but survived. The teenagers were shot during Operation Motorman, when thousands of British soldiers and armoured vehicles took to the streets of Derry and Belfast to clear a number of "no-go areas" established by the IRA. An inquest into Daniel's death in 2011 concluded that he posed no threat and had been shot without warning. Two years ago Northern Ireland's Public Prosecution Service announced that it had decided not to prosecute the soldier. It said there was no reasonable prospect of a conviction. But that decision was quashed after a legal challenge by Daniel's family. A judge said the decision not to prosecute was based on "irredeemably flawed" reasoning, and that a four-year delay in reaching the decision was "unjustified and unlawful". PPS Director Stephen Herron today met Daniel's family and told them that after a further review of the case, it had been decided to prosecute the soldier. "I have concluded that the evidence which can be presented at court is sufficient to provide a reasonable prospect of conviction and that the Evidential Test for Prosecution is met," he said in a statement afterwards. "As with all cases, I have also carefully considered whether the public interest requires prosecution through the courts. "Particular consideration was given to Soldier B's ill health, regarding which an updated medical report was obtained. In line with our Code for Prosecutors, I have concluded, given the seriousness of the charges, that the Public Interest Test for Prosecution is also met. "I have therefore taken the decision to prosecute an individual identified as Soldier B for the offence of murder in relation to the death of Daniel Hegarty and the wounding of Christopher Hegarty." Speaking afterwards, Daniel's family said this was a day they did not believe they would see. "We were just overwhelmed this morning when we heard he was getting prosecuted," said his tearful sister, Margaret Brady. "It was like a dark cloud was lifted". In a statement, Hugh Brady, a brother-in-law of the teenager, welcomed the decision. "It has taken 47 years to finally get the state to do the right thing," he said. "We understand that the criminal justice process must now be allowed to take its own course. "We will respect that in the same way we have respected the legal process that has brought us to this day." Mr Brady added: "We wish Soldier B no ill will. We have not, and do not, seek revenge or retribution. We just want the criminal justice process to begin. "We remember Daniel today and his short time on this earth. Daniel Hegarty, this is his day of justice." The decision to prosecute Soldier B comes a month after the PPS announced that a former British soldier is to be charged with two murders on Bloody Sunday in Derry in January 1972. The man, referred to as Soldier F, is also being charged with the attempted murders of four others shot that day.